February 24th, 2018 (6:58 PM). Edited February 25th, 2018 by DefiningTheDecade. I may not be famous.. but..
Seperated areas (Route 4 for example) Which will be specified before starting each game. I figured I would do a full ultimate so I can write out some strange intricate story about it. February 26th, 2018 (6:30 PM). You need a Gen 7 game for it to be considered ultimate. March 10th, 2018 (10:08 AM). Finally got this updated, but I'm sure I missed some stuff, so let me know if I missed you. Optional Rules: Shiny Clause, Dupes, Gym Leader Level Cap. March 16th, 2018 (4:56 AM). March 18th, 2018 (4:59 PM). - So, I start the game, and name my male character James. - One is spewing exhaust fumes, another has an air of ill health about it, and the last is spinning slowly on it's axis. So, naturally, me being me, I pick the one spewing exhaust fumes, and inside is a Koffing which I name Exhaust. - Anyway, I defeat the Zombie and its zombie pokemon, and Professor Birch and I figure out I have a mild case of amnesia. Kind of cliche, right? Also figure out we need to find my BROTHER, who is the champion, and his girlfriend, May. - Birch also gives me a pokemon egg, which is cool, I guess. 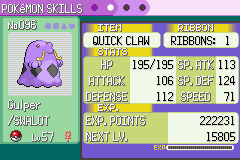 And my first pokeballs, which is also cool, and at the same time, actually starts the Nuzlocke. - My first caught pokemon was a Zigzagoon, which I named Ziggy. I kept it because it has Pickup, which is nice for Rare Candies. - I caught a female Poochyena which I named N without paying attention to the gender rip. - I beat some girl called a Deathcaller, and she ran away atfer telling me her name, Alicia. I have a feeling I'll be seeing her again. - In Petalburg City, the gym was blocked by a mass of blood and bones. Gory af. I also looted a corpse for some Leftovers that I gave to Exhaust. - In Petalburg Woods, I came across a 'Floating Legless Corpse' which would probably have torn through my team if not for Eggbert's Wonder Guard, because I was a smidge underleveled. After defeating it, I looted a Stone Badge out of its now unanimated corpse. - There are some crazy Fakemon in this game, like the Eye-Eye, a deformed version of Jynx. - I deafed the Faceleech, and the guy admits his mistake and gives me his name, Gleis. He tells me to come help him exorcise some demons from town. So, I help him, then he leaves. March 21st, 2018 (4:47 PM). Put me down for Sun as my Generation 7 game for the Ultimate Challenge, please! It's been...a year since I last posted here? And two years since I last posted an update about my Blue Nuzlocke? Now that I cleared out more games from my backlog, it's time to concentrate on the Ultimate Nuzlocke Challenge and get through all these games. Still have to buy X, though! Started off with Charmander (Friedrich), since my trainer ID ends with five. Out on Route 1, I caught a Pidgey (Paquda), and grinded out a few levels for it. Once Paquda was leveled enough, I headed up to Route 2 to see what I could catch there. Found a Caterpie (Cardoso) and now have to level it up next. but a call to bear the burden of a long twilight struggle, year in and year out." March 24th, 2018 (4:50 PM). March 28th, 2018 (6:20 PM). Continued level grinding Cardoso to level 8, and decided that it was strong enough to head back up to the Viridian Forest to train there. Also, a new encounter! After four duplicate Caterpie encounters, I ran into a Pikachu (Tzaddik). Which meant that there was more level grinding, but that's always fun to do when a video is playing in the background. With Tzaddik at level 9, headed up to fight the rival on Route 22. Tzaddik and Friedrich took care of both Pidgey and Squirtle with ease. That fight out of the way, headed back to Viridian Forest to clean out the trainers and make it to Pewter City. Then it was time for more training to get ready for Brock! The entire team got up to level 12, and went into the gym to battle. The battles there were a little difficult, but Cardoso and Friedrich pulled through. Now with the Boulder Badge, Route 3 was next with all those trainers, and wound up at Mt. Moon where a Geodude (Craig) was caught. April 5th, 2018 (6:22 PM). Made it through Mt. Moon with very little issue. Really glad that Craig joined the team instead of a Zubat. Cardoso was also a great help against the Nerd at the end of the dungeon, where I selected the Helix Fossil. On Route 4, ran into five Rattata in a row, so no capture there. The level grind continued to get everyone's levels up enough for the fight against the rival. Nearly everyone got to participate in that battle! The fights on Nugget Bridge weren't that terrible either, with Cardoso, Craig, and Tzaddik taking care of everyone. Once I reached the grass of Route 24, a Bellsprout (Kierkegard) was caught and quickly joined the team. After rescuing Bill and getting the SS Ticket, it was time to recover the Dig TM. This allowed us to get to Route 5 for additional grinding. Along the way, a Meowth (Aristotle) was captured. 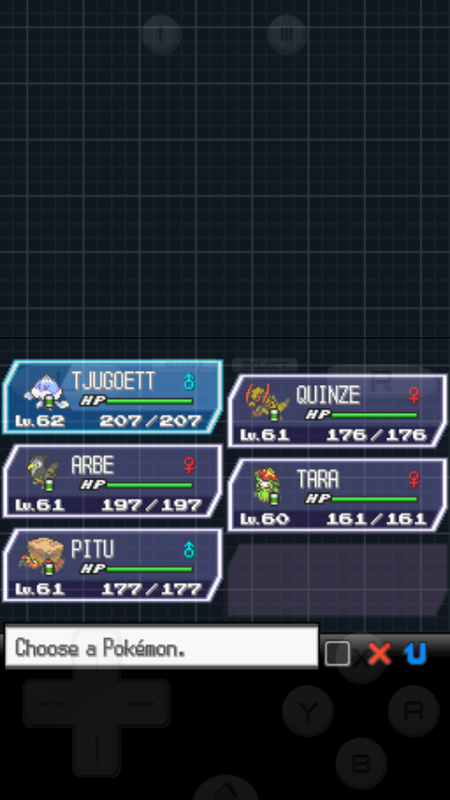 The training on Route 5 got Kierkegard and Tzaddik up to a decent enough level that they could handle the Gym, and we left Cerulean with two badges in hand. It was just a matter of using Craig to handle the trainers on Route 6 so we could make it to Vermillion City. May 2nd, 2018 (8:27 PM). You must nickname all of your Pokemon. You must change the battle style to SET. You may not use/catch legendary Pok�mon. I usually play with Dupes Clause, so Dupes Clause OFF here; if I somehow get Rattatas all the way down, so be it. Going with Charmander because Blastoise and Venusaur are both capable of soloing Gen 1 with minor difficulty. With some ingenious switching, cleared Brock with L14 Charmander without deaths. Life will be very rough if I don't get Oddish before Misty. BIRD evolved while grinding, and assists in takedown of Cerulean Rival. Routes 24/25: BeesMyGosh the L7 Weedle and a runaway Abra. Ground up JOEY I a bit in case of emergency. Route ? 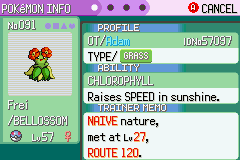 (above Vermillion): LEAF the L13 Oddish. Thank heavens - was reeeeally getting terrified of Misty with Charmander starter. Diglett's Cave: BOBA FETT the L22 Diglett. May 12th, 2018 (11:36 AM). Edited May 12th, 2018 by Astinus. So after my last update, I reached the part of the game where my team was strong enough to handle nearly everything thrown at them. It was also the part of the game that's really just boring, what with the Rocket Hideout, the Pokemon Tower, and then Silph Co. I stopped updating over here because there wasn't a lot of changes to the team. Really, the only changes were that Friedrich died and was replaced by Faur the Vulpix; Cardoso was replaced by Epicurus the Vaporeon who was a better fit for the team. Friedrich died in the Pokemon Tower (fitting) because those Gastly are trouble with their Confuse Ray/Hypnosis/Night Shade combos. After that, though, the rest of the game was pretty easy. We made our way through the rest of the Gym Leaders. Craig and Epicurus were perfect through all the challenges, with Faur as backup against Psychic-types. Tzaddik was around for Water. Kierkegard and Paquda filled in for anyone else, or just to spread the experience around. Also, since it was my vacation from work this week, I decided to just finish the game. Trained everyone up to level 60, headed to the Elite Four, and used plenty of Critical Hit hax to defeat everyone. And now to never play a Generation 1 game again. Fitting that my final playthrough of Blue is on the same cartridge as my first playthrough! Off to Johto now with Crystal! May 23rd, 2018 (5:59 PM). Two weeks later, and it's about time I post about my Crystal Nuzlocke! Downloaded the game onto my 3DS, and settled back for a nostalgia trip. Despite the second generation being my second set of Pokemon games, they're the games that I remember most fondly. This is also my second time playing through Crystal. Started the game as a boy named HUNTER Hunter, and Totodile (Thomson) became my starter. The game proceeded nicely, with Thomson defeating Retnuh's Chikorita on the way back to New Bark Town with the Mystery Egg. Once I got the free Pokeballs and Pokedex, it was time to catch Pokemon. Heraclitus the Hoothoot and Frege the Geodude joined the team. Other Pokemon were caught, but they didn't stick around like the first two. Frege was the biggest help, especially against Falkner. Heraclitus stormed through the Sprout Tower. They also took on Bugsy's Gym together. Even Whitney wasn't a problem with Thomson, now a Croconaw, and Frege taking down Miltank with hardly a problem. Frege got a Critical Hit Magnitude 10 to defeat Miltank! The team shuffled around after that. Heraclitus died and was replaced with Zubiri the Zubat. The Odd Egg hatched into McCord the Smoochum. And now training begins to catch everybody up to the same level. June 11th, 2018 (4:25 PM). So far it's hilarious af, all the text makes me laugh, talk to everyone, because they say some crazy muk. Anyways Im through 3 gyms and Ive had 4 (maybe 3) deaths. Mostly to stupid decisions or speeding up way too often. The game itself hasn't been too hard yet, but it is one of the funniest games I've ever played in my life and would recommend to anyone with a good sense of humor(probably a bit more mature though lol). June 13th, 2018 (5:22 PM). I've been playing every day now, and haven't had much of a chance to update. Until tonight, when I don't have time to play. Taking a look at my team in the last post I made, I feel even more sad now. After training for quite some time, the team was ready to take on Morty. I went into the gym, thinking that everything would be okay. Frege had Magnitude, Zubiri and Thomson had Bite. The gym would be easy...except for Morty's Hypnosis/Dream Eater combination. Lost Frege in the battle, but got the badge. Quine (Wooper) joined the team in Frege's place. Went around to explore new areas with Surf. Along the way, while fighting trainers, McCord took on a Geodude that was just too strong for her, getting hit with a Magnitude. Had to scurry out of there to the Pokemon Center, where I wondered "now what?" Got Lycan (Eevee) from Bill, and decided to try and raise his happiness to become an Espeon. Zubiri was happy enough to evolve into Crobat. With the newly-evolved Zubiri and Quine, Chuck's gym was defeated, and the game became just about getting Lycan happy enough to evolve. And, well, level grinding. What else is new in Nuzlockes? June 16th, 2018 (8:49 AM). The plot has been very good and funny so far. I have 6/8 badges and am nearly completion.... maybe, I honestly don't know since Ive never played the game. RIP Farfecth'd, he died to a n exploding Weezing. The team is pretty solid rn preparing for whatever is next. June 24th, 2018 (3:15 PM). Decided to post an important update for my Crystal Nuzlocke. After my last post, the game became a juggle of making progress, leveling everyone, and getting Lycan happy. There was much success in all three. Jasmine, Pryce (who I completely just blanked on the name of, and was almost going to go "old man ice dude"), and even Claire were defeated without much complaint. Claire's Kingdra was a little tricky to handle, but Quine powered through in the end. Through all this victory, Lycan evolved into the glorious Espeon. I also decided to finally add a sixth member to my team, and Maddy (Machop) joined everyone. There was much level grinding to get him equal to the others. Went through Victory Road with no issues. Even defeated Retnuh with no trouble. Then, after getting everyone to level 45--and thinking that that was all I needed--it was time to take on the Elite Four. There were some problems against Will, but the main obstacle was Lance. His Dragonite army were beasts. Poor Quine tried. She really did. But she lost her life in the battle. I'm going to miss her dopey face and the way she waved her arms. July 10th, 2018 (3:41 PM). Edited July 10th, 2018 by Astinus. I...uh... Am I the only one left doing Nuzlockes here? Sad. What's also sad is looking at my team from my last update and remembering Wiggins. 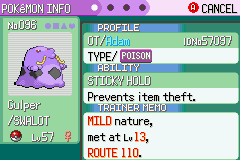 Poor thing died to a Koffing using Self-Destruct, right outside Fuchsia City. At least she made it to a Dragonair. Other than that, Kanto was a breeze. Since the Gym Leaders were all under the levels of the Elite Four, the team just steamrolled every one. There was some trouble against Blue, but we prevailed. Once we reached Mt. Silver, it was time to grind. And grind we did. For thirteen hours we grinded, getting up to level 70. It had to be enough to defeat Red. It had to be. Red was defeated with little issues. The only loss was Kant, who took a Critical Hit+Rain Dance Surf right in her tubby little body. Zubiri avenged her, and quickly became my favorite of the run. But that's it! Johto is done. Red is defeated. And I get to say good-bye to the second generation and move on to the land of trumpets. *Put here only because she made it all the way with the others. July 10th, 2018 (10:40 PM). I've been doing various Nuzlocke variants lately, but was thinking about returning to regular Nuzlockes. Anyway, congrats on completing Johto. August 4th, 2018 (8:23 AM). Quite possibly the worst Emerald Nuzlocke I've had. I think everything that could have gone wrong did. Crits left and right. August 7th, 2018 (7:12 AM). I recently got White 2 and finally decided to play it. I've never played BW2, so it's gonna be a fully blind Locke. - No researching future events, like Gymleaders, rival battles, et cetera. August 7th, 2018 (8:26 PM). Edited August 26th, 2018 by Suon. I pick Snivy as my starter, based on my Trainer ID (ends with a 2). I'll release it as soon as I catch my first Pok�mon. The first battle with rival Hugh is irrelevant, but I do win. On Route 19 I catch Hana the female Patrat. I train her immediately to level 7 and continue. On Route 20 I catch Dyo the male Sewaddle. A hiker prevents me from going east, so I go northwest. On Floccesy Ranch I catch Bei the female Lillipup. Suddenly, Hugh pops up, and challenges me to a battle. Dyo would die immediately after one fire attack, so I switch to Bei to do a little damage with Tackle. I get 2 Tackles against me though, and Bei's health gets critically low, so I switch to Hana. Our Tackles are about the same strength, but he has the extra turn advantage. Luckily, very luckily, he suddenly starts spamming Tail Whip, until he faints. No casualties! It turns out that the Herdier from the owners of the ranch is missing. I find it, together with a pirate, claiming to be a member of Team Plasma. Out of frustration, he throws the TM Frustration at me... All within logic, I guess. It appears the Gym has opened, with a new Gym Leader, so I go back to challenge him. It turns out to be Cheren, one of the rivals in Black/White, so that's a fun twist. The trainers in this Gym all had level 9 Pok�mon, so I hoped my levels would be good enough. I start with Dyo, he with Patrat. I only need 2 Bug Bites, while he uses one Work Up, to KO Patrat. He brings in Lillipup, and I decide to switch to Hana. Lillipup turns out to be at level 13, and it is faster and stronger indeed. It manages to get 2 Work Ups set up, while I spam Tackle. I get it to low yellow, but Cheren heals and starts using Tackle himself, immediately getting Hana's HP into red, while I bring him into low yellow again. I bring Bei. His Lillipup goes first with a Tackle, leaving Bei with only 6HP in the red, but Bei tackles back and manages to KO Lillipup, earning us our first gym badge. When we exit the Gym, a lot of monologue happened. I received an X-transeiver and C-gear, and talked to Bianca and Prof. Juniper, but my mind was elsewhere. I just lost the very first Pok�mon I caught on this journey. I went to the Aspertia City Lookout and watched the sun set, holding my new badge in one hand and my two Pok�balls in the other, making sure that anyone who might be watching saw a very dramatic scene. What was the future gonna hold? There's absolutely nothing happening until the 2nd gym, is there? Well, no, there's one new route where I can catch a new Pok�mon. At the Virbank Complex I catch Arbe the female Pidove. At this complex are also Audino's to be found, so I do a bit of training before I hit the gym. Bei starts with a Work Up, Koffing uses Assurance. I then order Bei to use Return, and 2hko Koffing. Roxie sends out Whirlipede, and I decide to swap to Arbe. Arbe gets hit twice by a Venoshock, but it doesn't KO her. In return I let her use Air Cutter, which critically hits both times and KO's Whirlipede. We won the match and the Toxic Badge is ours! The only place to go to is the Pok�star Studio's, where I'm being forced to watch a film, act in a film and talk to a bunch of people with very unoriginal names. When all of this is finally done, I go southeast in Virbank to the harbour to board the ship, but not before I, Roxie and Hugh chase and fight some pirates from Team Plasma. Now, Hugh and I arrived in Castelia City, where some Harlequin gives me a bike. Thank you, sir. There's a LOT to do in this city, so I do a LOT. And after visiting basically every building in the city except the gym, I go north out of town to find me some more teammates. Unfortunately I can't reach the Relic Castle, so only one catch available. On Route 14 I catch Pet the female Darumaka. I get lost for a while in the sewers, only to discover that Burgh and some Team Plasma Grunts are very close to the sewer's entrance. After a battle with the Grunts and some dialogue with Burgh and some stranger, I discover a new area connected to the sewers. In the Relic Passage I catch Zes the male Roggenrola. I started with Zes against Swadloon, which is not a good match-up, although Zes has Sturdy, so he will at least survive the first round. 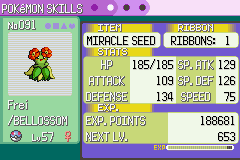 He receives a Razor Leaf, which does about 45% damage, I do about 70% with Rock Blast. I don't want Zes to die from a crit hit or miss his own attack, so I swap to Pet, who easily wins with one Fire Fang. Burgh brings out Dwebble, I swap back to Zes. Zes easily endures one struggle bug and then 1hko's Dwebble with some Rock Blasts. Time for Burgh's last Pok�mon, Leavanny. 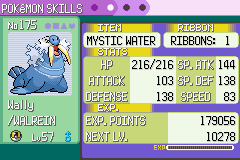 I change to Arbe, and one crit hit Air Cutter is sufficient to win me the third badge! I go north out of town and meet with the stranger who I met earlier in the sewers. I forgot his name, but he' a scientist and he challenges me. I win. Time to catch more teammates! In the Desert Resort I catch Pitu the male Dwebble. In the Relic Castle I catch Atta the female Yamask. I have reached Nimbasa City now, close to the 4th badge, and I just boxed my first Pok�mon. Am I missing routes? I doublecheck the Pokedex, which has a Habitat function, and notice there's supposed to be tall grass in Castelia City. I go back round it, but it's all concrete. Then I remember a kid blocking my path in the sewers and go check. The kid is gone and I find a small, hidden area with grass. In Castelia City I catch Tara the female Petilil. I go back to Nimbasa and check if I can go to the routes east and west of the city for even more catches. On Route 16 I catch Hamar the male Minccino. In Lostlorn Forest I catch Shiyi the male Pinsir. Wauw, a Pinsir! Not sure how rare it is, but that's pretty cool. Also, this part of the woods is a great place to train, I find out. The Breeder keeps challenging me every time I enter the forest, and the wild Pokes aren't that bad either. Haven't run into another Pinsir, though, so I guess I was really lucky!! Atta dies to a wild Solosis' Psyshock. This really came as a surprise and I have to admit, it hurts a bit. I was really hoping for a Cohagrigus since they can be very bulky and are hard to kill, therefore perfect for a Nuzlocke. Sadly, instead of hope, I now have to mourn for the loss of a great asset. Now it's the for the gym, but not before talking to the Beauty that is standing in front of the Ferris Wheel. A simple fight follows, and after the weirdest cutscene in Pok�mon history. What was that about? As you can see, I haven't trained Shiyi and Hamar up to level yet, but I thought it wasn't really necessary for now, since I don't plan on using them much in this fight (even though Shiyi knows Dig). I start with Zes, since he has Sturdy, so I'm always save on the first move. Now I make probably the stupidest move I've done in a long, long time: I use Iron Defence. Why? Because I was convinced that Volt Switch (I assumed that Elesa's strategy hadn't changed much since BW) was a physical move... Emolga uses Volt Switch and Flaafy comes into play. Flaafy is faster and uses Volt Switch too, me assuming it will just tickle. Instead, it KO's Zes instantly... Sh*t!! Zes dies to Elesa's Flaafy using Volt Switch. This is going terribly wrong already! Elesa keeps switching between Emolga and Flaafy, who I manage to KO with Bei and Shiyi (yes, I ended up using him after all) respectively. Elesa's final Pok�mon is Zebstrika. I start with Shiyi, who is paralyzed by Flaafy's Static, but has full health. Zebstrika uses Volt Switch, doing about 55% damage, I reply with Revenge, doing about the same, but Zebstrika heals with a berry. I can't take another hit, so I swap to Dyo, who gets hit by a Volt Switch, but it doesn't hurt much. Zebstrika uses Flame Charge now (totally forgot about that move), lucky not KOing Dyo, leaving him with 8HP. Dyo's Razor Leaf hurts Zebstrika to about 20% HP. Dyo won't survive another hit, so I have to swap again. Bei would be good, but she's too heavily injured after fighting Emolga. Shiyi is hurt too and Hamar is too weak. 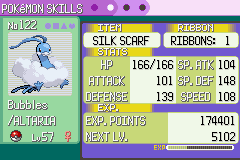 Arbe it is, even though she is a Flying type. Luckily, Zebstrika used Quick Attack, only doing about 15% damage. Arbe uses Quick Attack in the next turn, going first, and KOing Zebstrika before it's able to zap Arbe down. The badge is ours!! I've earned 4 badges now, but at the cost of 4 beloved team members. I'm not happy about this, so I'll have to try to be more careful from now on. On the Driftveil Bridge I catch Bara the male Ducklett. On Route 6 I catch Mahatunka the female Karrablast. Now, I only played the first Unova games twice, and only as challenges, so I don't know much about the Pok�mon and their evolutions. I believe Karrablast evolves in Accelgor, but there's some trading evolved? Also, I got two active bugs already, so she'll probably stay in the box. 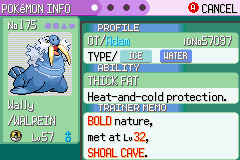 In Chargestone Cave I catch Sibsi the genderless Klink. An interesting catch, I think. Could be very useful. I can't go very far in the cave, and the Pok�mon here give very little experience, so I decide to go outside again and train in the rustling grass next to the house with a healer. I beat heaps of Audino, Unfezant, Leavanny, Emolga, Castform and, apparently, Dunsparce, to get my team to level 32. Arbe evolves in an Unfezant. Bei evolves in a Stoutland. For some reason, Bara hasn't evolved in a Swanna yet, so maybe it needs a Water Stone, which I don't have. It's very weak, but I'll probably need it for the upcoming ground-gym, so let's hope for the best. Last teammember to train is my newly caught Sibsi. The first Pok�mon in the rustling grass is an Azumarill. Good, since I have electric moves. Sibsi dies to a wild Azumarill's Aqua Tail. Hamar evolves in a Cinccino. I guess I'm ready for the gym now. I start with Dyo, Clay sends out Krokorok. We 2hko him with ease, barely receiving damage from the Bulldoze. I don't know why, but I'm not swapping. Instead, I go for another Wake-up Slap. Excadrill is faster now, but instead of finishing it with another Bulldoze, he misses a Rock Slide. Hamar hits, even crits, KOing Excadrill. Pfiew, that was lucky! Stupid and lucky. Clay sends out his last Pok�mon, Sandslash. I change back to Dyo, who only needs one Razor Leaf to finish the job. Now that I've beaten Clay, I can enter the World Tournament. But not before I pass a stand with a Move Relearner. Hamar can learn Bullet Seed and Rock Blast!! Combined with Technician, that's fantastic! Luckily, I already picked up 3 Heart Scales so far, so relearning it is. Back to the story. I battle Hugh, Cheren and the scientist (forgot his name again, something with C...) in the Tournament. They all have level 25 Pok�mon, so that's no struggle. I can't reenter unfortunately, so I go outside again. Hamar dies to a Team Plasma Grunt's Raticate using Sucker Punch. I will unleash my WRATH on you!! I will make sure NONE of you will EVER see the...!! So far, I've had nothing against Team Plasma. They were pretty mild and harmless, I barely mentioned them in this log, and I was only helping Hugh with his personal vendetta. But now? Cheren tells me to meet him at Route 6, so I do. He gives me the HM Surf. Not much later, I run into a legendary Pok�mon. First I thought is was Suicune, but apparently it's called Cobalion. This is totally new to me, I've never heard of this Pok�mon before, so I'm curious! A "good" Team Plasma Sage and an old man tell me about it and two other legendaries, named Virrizion and Terakion (again, no clue. I thought BW2 had the same Pok�dex as BW, and I have seen that Pokedex before when I had to decide teams for previous challenges, so I'm quite intrigued). They end up saying that I should befriend it, so I guess we'll get to see it again. In Mistralton Cave I catch Quinze the female Axew. A m@#&f?�$�@n dragon!! I used Bei to bring it's HP down, and a Rock Smash crithit it to 1HP, so I almost lost her, but luckily the first ball caught her. I'm gonna treat her like porcelain! Time to move on. The bridge in Chargestone Cave is fixed, so we can continue our adventure. Someone shouts something at me, but we don't get to see who. There's also a few trainers. Strong ones, and if I didn't have any healing items, I would've lost a few of my team mates in a triple battle. Bara dies to a Doctor's Solosis using Future Sight. Finally, I'm out of the cave and made it to Mistralton City. I can already go to the gym, but I have nothing strong against flying-types except for Shiyi's Rock Tomb, and since that's obviously not a great matchup, I'll try to catch new Pok�mon first and get some training done. On Route 7 I catch Shiliu the male Audino. Great... I don't really see much use in him, to be honest, although the high level does suggest I can get some proper training done here. Dyo dies to an Unfezant using Air Slash. It never occurred to me to switch him out, in a battle against three flying-types! How stupid. Dyo was my second catch, and therefore with me since basically the start of this run. I can't go into Twisted Mountain since E4 Marshall is blocking it, so I go to Celestial Tower. First, I see Professor Juniper and get a Lucky Egg. Awesome!! Now grinding will go even faster! In Celestial Tower I catch Patinel the female Litwick. She's coming on the team for sure. I continue my way up, battling the trainers on the way, until I run into a Psychic with a level 36 Espeon. Patinel (lvl30) is up, getting a Will-o'-wisp and one Hex in, while Espeon sets up Future Sight and then needs one Psybeam to get Patinel down to 1 (!) HP. Swap, I guess? Bei dies to a Trainers Espeon using Psybeam and Future Sight in one move. This whole game is one big slaughter fest!! My poor, poor Pok�mon! Alright, that's it. I'm gonna grind. Since this is a blind run, there's no "overleveling rule" or anything, and since the trainers seems to have Pok�mon up to level 36, I guess the Gym is gonna be even tougher. I got Pitu and Tara out of the box and trained everyone up to level 37 (except for Tara, but I'm definitely not gonna use her in a Flying-type Gym. Pitu evolves in a Crustle. I start of with Pitu, who beat all the trainers in the Gym too. Skyla brings out Swoobat. Swoobat is faster, but never really hurts me with Heart Stamp and Acrobatics. I set up a Stealth Rock and then 1hko it with Rock Slide. Skyla is gonna send out Skarmory now. I fear that Pitu won't survive any Steel attacks, so I swap to Patinel and hit Skarmory with a Will-o'-wisp to lower it's attack and do some damage. Skarmory only uses Air Slash, so the lower attack doesn't really matter, but after receiving damage from both a burn and the Stealth Rock, one Flame Burst is enough to KO. Time for Skyla's last Pok�mon, which is a Swanna. Patinel can't handle this, and neither can Pitu, so I bring Arbe. We throw some attacks at each other, heal when needed, and in the end, standing with a mere 11 HP, Arbe comes out on top. The Jet Badge is ours!! So I fly together with Skyla, Professor Juniper and Bianca to Lentimas Town. Reason why I'm here? So I can see Drayden in Opelucid City. If I look at the map, however, it doesn't really look closer by... I guess time will tell. Next to Lentimas Town is a patch of grass. At Reversal Mountain I catch Atharam the male Skorupi. Quinze evolves in a Fraxure. In Reversal Mountain Bianca joins me as we battle our way through the lavapath. Pretty busy here, but thankfully I stocked up on healing items just earlier (I really needed them) and Bianca heals me after every battle (I really needed her). Bianca tells me about the legendary Heatran, who's blood is lava. I wonder who found out about this. Anyway, it's not here, and we make it save out of the cave and reach Undella Town. Suddenly, Hugh pops up and challenges me to a battle. Luckily my Pok�mon are still healed. I had Arbe out in front, so it's a female against male Unfezant battle. I'm one level lower though. Turns out, it doesn't matter. I use attacks better and KO Unfezant with about half HP left myself. Hugh is gonna send out Emboar. Now, Emboar is weak against flying, but at this time, I don't know who the third Pok�mon is gonna be. Maybe it's weak to Flying too, like a Grass type. Or, more likely, Emboar knows a Rock move. I swap, to Pitu. Good choice, it turns out. Emboar knows a Rock move indeed, but it's not stronger than Pitu's Rock Slide, so Pitu wins. Last Pok�mon is Semipour. -pour, so the Water type. I should swap, so I send out Shiyi. Semipour starts with Leer. Odd, but fine. X-Scissor brings Semipour's HP down in the red. Hugh heals, I bring it down again. Mind, Semipour is faster, and starts the third round with Scald. Shiyi dies to Hugh's Semipour using a critical Scald. HUGH, WHAT DID YOU DO!!?? My beloved Pinsir, died in a friendly match!! I send Arbe out again who takes revenge with a Quick Attack and defeats Hugh. But it doesn't matter. This is again a major blow I have to endure during this run. Ten Pok�mon died during this trip, more then half of my total catches. I was responsible for them, but failed. Despite everything, I have to continue. I'm not going to fail this run, I shall become Champion. There's a lot of treasure around this town, and South is Route 14. 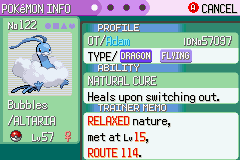 I run into an Altaria, but fail to catch it because I run out of Pok�balls. On Route 13 I catch Oganisa the female Absol. Patinel evolves in a Lampent. It just turned dark while I was training, so maybe it only evolves when it's dark and happy? Or it's just a very high, random level. I guess now I need a stone or trade. I also added Atharam to the Team. Tara is now back in the PC. Why Atharam? 2. Poison Fang can badly poison, and while grinding I notice that that happens a lot. 3. Awesome typing, at least, when it evolves. I believe Poison/Dark only has one weakness (Ground)? It does mean two Dark types, but that's fine. Atharam evolves in a Drapion. I arrive in Lacunosa Town, where we here the story of a Pok�mon that can summon cold storms and eats people... Bit dark, but I really have no clue which Pok�mon they mean. They also talk about Reshiram, who I do know from the previous games. Let's see how this story unfolds. We then run into Hugh and a double battle against Team Plasma's Zinzolin (what is he wearing!!? I know it's winter, but...) and a Grunt. Finally time for some revenge: Pitu crushes them with all the rocks he can summon. Route 12. Time for a new Pok�mon? No. I accidentally 1hko the Roselia. Now I can finally Surf again, and maybe catch some more Pokes! In Undella Town I catch Tjugoett the male Frillish. On Route 11 I catch Ba'Isa the female Shellmet. Quinze evolves in a Haxorus. In Opelucid City, I can apparently challenge the gym, but Iris meets me and advises me to go to Route 9 first. On Route 9 I catch Bisaum the female Pawniard. I have never used one before, but I think they look really awesome with nice typing. Time to hit the Gym. But first its trainers. One's Fraxure is strong! Patinel dies to a Gym-Trainer's Fraxure crithitting Dragon Claw (I believe). Atharam leads the way against Druddigon, and it's pretty obvious Atharam is not gonna lose this one. 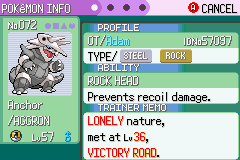 Druddigon hits with Revenge and Slash, but never hurts me more then about 20%. Poison Fang badly poisons it, and some Night Slashes are enough to KO Druddigon. Drayden sends out Flygon and I decide to swap to Quinze. Dragon vs. Dragon. This can only go very easy, or end very badly. The first is the case, one Dragon Claw 1hko's Flygon. Drayden sends out his own Haxorus. Quinze is gonna stay and same story: a 1hko. Obtained the 7th badge! Drayden fills me in about the legends of Unova. Apparently, the scary people eating Pok�mon is Kyurem, a Dragon that existed during the creation of Reshiram and Zekrom. Suddenly, Team Plasma shows up with the Flying Dutchman, shooting massive Icicles at the City. They threaten Drayden to hand of some DNA splicers, but Drayden won't give it. Now, if I was a villain, I would have waited with the shooting until now and ask again. That would be threatening right? Instead, they shoot first, then speak some threats and then say that they ran out of bullets or something, "but they'll be back..."
Anyway, we fight Team Plasma off, no problem. Also the member of the Shadow Triad, who actually managed to steal the DNA Splicers, was easy to beat. I didn't get the Splicers back though, so apparently I go to Humilau City now. In Humilau City I catch Vintimila the female Corsola. On Route 22 I catch Ippattaru the female Amoonguss. In Giant Chasm I catch Huszonhet the female Sneasel. It seems pretty obvious that the gym uses Water type Pok�mon. I don't have any super effective moves for them, but I guess they're all gonna be Dual-Types, so I'm feeling pretty confident. I use the breeder on Route 22 to get everyone up to level 50 and challenge the Gym. I started with Tjugoett, since it's a Water-type too so I should be save. He brings Carracosta. Tjugoett is faster and starts with Will-o'-wisp, which hits. Carracosta uses Shell Smash, so becomes a sweeper. He's also faster now, and uses Crunch, which does about 55% damage (thank god for the burn). I decide to go for Hex, get a crit hit, but Carracosta holds on with Sturdy. The burn finishes it, however. Marlo is gonna send out his own Jellicent, which turns out to be at the same level as mine too. I decide to swap anyway, to Oganisa, and one Night Slash is enough to 1hko Jellicent. Marlo sends out his last Pok�mon, a Wailord. Not all dual types, then. I swap again, now to Quinze, hoping Wailord doesn't know any Ice moves. While Wailord is in the air, I use Sword Dance, just in case. Wailord bounces on Quinze, dealing ~30% damage, but getting hurt by Rocky Helmet during the process. The next Dragon Claw is fatal, and we win our 8th and final badge!! It looks like Hugh send me in the wrong direction, so I go south now too. On Route 21 I only run into Jellicent and Frillish, so no catch here. In the Seaside Cave I find a Woobat, but I accidentally kill it (I think every move in my team's repertoire would've killed it). Before I started this battle, I remembered the previous figgt with Colress. He had a Magnetite and a Klink, I believe. Also he's a scientist, social figures he would probably have 2 or 3 Steel type Pok�mon. Since my team is quite weak to them, I taught Bulldoze to Quinze, just to be on the safe side. So I start with Quinze, and indeed, he brings Magneton. But despite the x4 weakness against Ground, it doesn't 1hko from Quinze's Bulldoze. It uses Thunderwave, and on the second turn Flash Canon, almost halving Quinze's health. Another Bulldoze finishes it. Colress brings Magnezone, so basically the same story. I decide to heal and use Bulldoze again. We receive a Flash Canon first, again almost halving my HP, but this time Bulldoze does 1hko. Colress now swaps in Klinklang. I decide to not take any changes, and change to Tjugoett, who is faster. Tjugoett uses Surf, which does more then 50% damage. Klinklang uses Thunderbolt, but without STAB it doesn't even get Tjugoett's HP half down. Another Surf, and Klinklang is downed. Next is a Metang. For no reason, I swap to Oganisa. Two Night Slashes, while receiving one Meteor amash, are enough. And his last Pok�mon, surprisingly n�t a Steel type, but a Beheeyem, is an easy pray for Oganisa. Colress allows me to continue, and I meet Ghetsis. I remember him from the previous games, of course, but he doesn't challenge me. Instead, he lets the Shadow Triad fight me. All three members, but they are no match to me. We continue, and after an amazing cutscene, where N and Reshiram show up, and Reshiram and Kyurem fuse together, I fight Kyurem. Tjugoett was out front, and wins fairly easy. After, Ghetsis challenges me. Tjugoett was still out in front, and it seems that he's healed (thanks, N?). Against Cohagrigus, it's a Ghost against Ghost match. I use Will-o'-wisp first, and hit. He uses Toxic, and also hits. I have this feeling he will use Protect now, so I use a Full Heal, and indeed, Protect fails. Now I use Hex, and KO Cohagrigus. Ghetsis is going to use Eelektross. I used one myself before, and I believe it has Levitate. Luckily, Quinze has Mold Breaker. And Bulldoze. Next up is Hydreigon. Quinze stays, is faster, and 1hko's it with Dragon Claw. Ghetsis sends out Seismitoad. I swap back to Tjugoett, since I don't have any Grass attacks. Again, Will-o'-wisp burns Seismitoad, lowering it attack, and Earthquake doesn't do much damage now. It even gets disabled due to Cursed Body, and a Surf and a Hex do the trick. Alright, this is going easy so far. Next, a Toxicroak. A fighter, so I swap to Arbe. One crithit Fly, and Toxicroak faints. Then the last Pok�mon, Drapion. I swap back again to Quinze and we Bulldoze our way to victory! So Team Plasma is beaten, Hugh got his sister's Purrloin (or Liepard) back and I can go challenge the League. After I finished looting in and around the Giant Chasm I reach Route 23. On Route 23 I catch Nijuhachi the female Bouffalant. I beat all the trainers here, solve an annoying Strength puzzle, only to get TM Taunt as a reward, and make it to Victory Road, where N gives me HM Waterfall. On Victory Road I catch Untees the male Banette. I challenge the first Ace trainer, who has a Drifblim and a Claydol. Atharam is out and easily gets rid of the Drifblim with two Crunches. 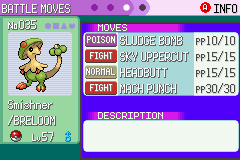 Aftermath hurts him a bit, but he's strong enough to battle a Claydol. Right? 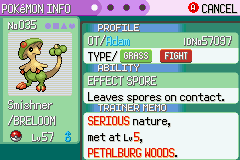 Atharam dies to an Ace Trainers Claydol using Earth Power. I totally underestimated Claydol attack power and totally overestimated Atharam's defence. Or is Earth Power a Special Attack? Anyway, my buddy ol' pal is no more. Now I need another teammate. I look in the PC Box, but am not totally satisfied with what I have. I check all possible catch areas on the Pokedex, but the only place I missed is Twist Mountain, and I still can't access it. I picked up a Sun Stone just earlier at the Giant Chasm, and check if it works on Tara. It does! [B]Tara]/B] evolves in a Lilligant. Okay, you're on the team. Time for Victory Road. It's an amazing maze, longer than any before, but the way it's made, with the canyons, caves and hills, I really enjoy it. There's also many strong trainers and, thankfully, a doctor. After a while, Hugh ambushes me and challenges me to a fight. I didn't see it coming, and Quinze is on top, hurt a bit, but still ready to fight. Uinze uses a Dragon Claw, and seriously hurts Unfezant, but he uses U-Turn, getting Quinze's HP down to about 50%. Bouffalant shows up. They're strong, so I decide to swap to Pitu. Pitu endures Bouffalant's hits well, and combining Toxic with Dig, manages to KO Bouffalant. Hugh is going to send out Simipoir, so I change, to Tara. She's still hurt from the roadtrip so far though, social first use a Hyper Potion. Thankfully, Brick Break doesn't hurt too much, and Giga Drain is strong enough to KO Simipoir and heal at the same time. Emboar comes and I change, to Tjugoett, who has absolutely no problem with him. Also the badly hurt Unfezant is easily discarded, and we win, surprisingly and luckily without any casualties! I made it to the Pok�mon League. I'm almost ready to conquer them, but not before training everyone up to level 60 using the Audino's on Victory Road. Judging by the trainers and wild Pok�mon, I hope this is a good level. I enter the League. It looks the same as earlier, and I'm assuming the E4 is still the same. I decide to go northeast first. So I start with Oganisa and a Night Slash. It almost KO's Musharna, who uses a weak Charge Beam. I correctly predict Caitlin healing Musharna, so I use Sword Dance. From here on, the fight was basically done. Musharna, Reuniclus, Sigilyph and Gothitelle have no change against Oganisa, and we win the first E4 match. Pitu starts, being a Bug type Pok�mon. After flinching the first round due to Fake Out, he 1hko's Liepard with an X-Scissor. Grimsley brings Scrafty, so I swap to Arbe. Two times Fly is plenty to win. Krookodile brings a bit more trouble. I swap back to Pitu, so his Attack gets lowered by Intimidate. Krookodile is also faster, and keeps using Earthquake. Thankfully, I can heal and still attack, and with X-Scissor, Pitu manages to win. Then the last Pok�mon, Bisharp. Pitu is weakened, so I swap to Quinze. Then I remember Bisharp's Ability to raise its attack, and decide to use Sword Dance first to ensure a 1hko later. It works. Bisharp's Night Slash isn't too strong, it gets damaged by the Rocky Helmet, and one Bulldoze KO's Bisharp, making this the second win! So I did heal my Pok�mon, but totally forgot swap the teammembers around, causing Pitu to start the match. It doesn't really matter though: Toxic and Dig damage Cohagrigus enough to hurt, but not enough for Shauntal to heal. I use one Rock Wrecker and KO Cohagrigus. Shauntal brings Golunk. Pitu is hurt a fair bit, and has to recharge, so I swap to Tara. One Giga Drain almost KO's Golunk. Golunk uses Shadow Punch and almost KO's Tara in return. Shauntal heals now, and Tara can use Giga Drain twice, KOing Golunk. Oganisa dies to Chandelure using Fire Blast. Quinze, you're up! It turns out, Quinze is faster, and, after two Bulldozes, ensuring one Shadow Ball, Chandelure is defeated. Shauntal's last Pok�mon, Drifblim, is easily beaten by a crithit Fly from Arbe. The loss of Oganisa comes as a shock and surprise, but I can't mourn, I have to keep going. On to the last E4 member. I send out Arbe first, hoping the fighters don't know too many Rock attacks. Fly doesn't directly KO Throh, but Rock Tomb keeps missing, so Arbe finishes with Return. Next comes Conkeldurr and I change to Tjugoett. We use Will-o'-wisp successfully, while Stone Edge does some damage, but gets disabled. Now Conkeldurr apparently can't attack Tjugoett, since it keeps using Bulk Up, so we simple finish it with a few Hexeseses. Arbe fights again, now against Sawk. Fly would've KO'd Sawk if it wasn't for Sturdy. Sawk hits with one Rock Slide, but without STAB it apparently isn't that strong. With 1HP left, one Return obviously doesn't he trick. Marshal's last Pok�mon is Mienshaw. I decide to swap again to Tjugoett, just for the heck of it. And again, no problems here. Start with Will-o'-wisp, heal when needed, and finish with Hex or Surf. The E4 is beaten. Let the Champion come!! Iris? Where's Alder? Isn't he the Champion? I send out Tjugoett first, since he knows Ice Beam. Iris starts with Hydreigon! Oh no! Luckily, it turns out that Hydreigon doesn't know a Dark move (deja vu moment here...). So we throw attacks at each other, heal, throw more attacks at each other, and in the end, Tjugoett wins. Next comes Lapras. 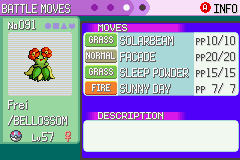 I could send out Tara with her Grass moves, but she's weak to Ice, so I keep Tjugoett in the game. Lapras knows Thunderbolt, but it doesn't hurt toomuch, and gets disabled after one use. I use the Will-o'-wisp/Hex combo to beat Lapras. Tjugoett also fights Aggron. Only one Surf is enough. But when Iris sends out Haxorus, I change and send out my own, Quinze. One Dragon Claw is all we need. Archeops comes, and I swap to Pitu. Archeops misses a Rock Slide, and one Rock Wrecker from Pitu 1hkos Archeops. Druddigon is last, already. Quinze again only needs one Dragon Claw. So we won. WE WON!! WE'RE THE CHAMPIONS!!! We actually did it! 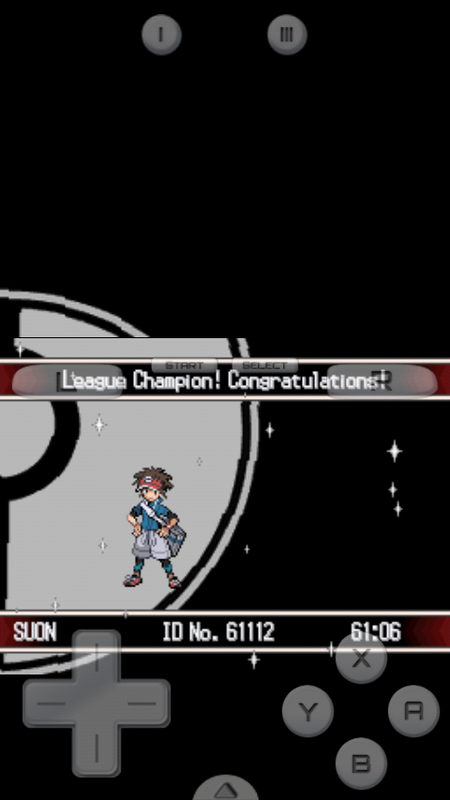 I finished a Nuzlocke, no, a BLIND Nuzlocke! There were some tough moments, but we came through, and I completed this challenge!! August 26th, 2018 (7:30 AM). 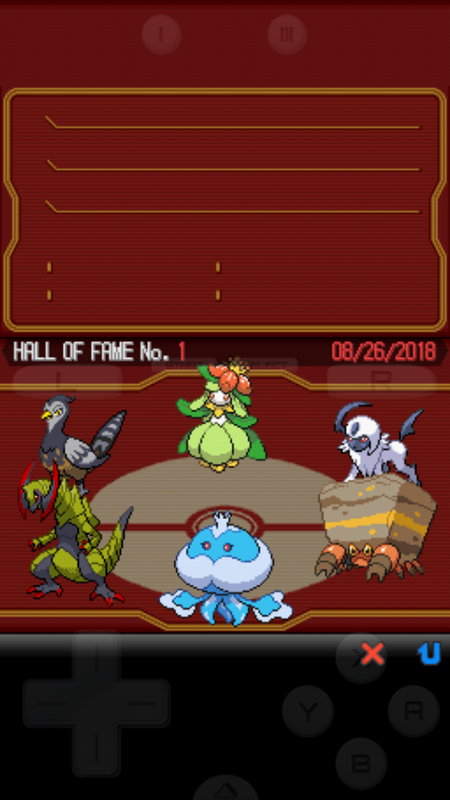 Just completed my blind Nuzlocke run on White 2. See previous post for all the updates. 1 Week Ago (1:14 PM). So, I see this thread hasn't been used in a whike, so I may just be posting here for my own entertainment. I've been wanting to go through all of the gens before 8, so I figured what better way than an ultimate nuzlocke. I will be posting an update after each game with winning team! I will be starting with Gen 2, and working my way down from there! I hope someone enjoys reading my progress! 1 Week Ago (8:24 PM). Edited 5 Days Ago by PrincessV. Version: Yellow, Crystal, Emerald, Platinum, White, Black 2, X, Omega ruby, Moon. Ultra sun. You may not heal outside the use of Pokémon Centers and moves such as Softboiled..
1 Week Ago (11:39 PM).